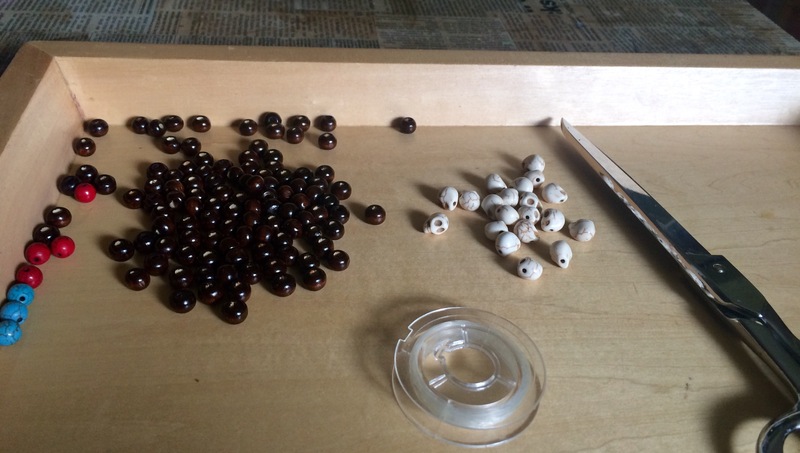 With Halloween approaching I thought I should think about doing something seasonal. I’m not really a big Halloween person, it just doesn’t make a lot of sense in the Southern Hemisphere. It’s all about Autumn and the approach of cold weather and short days, but for us October heralds the warm weather and daylight savings time. So it’s weird to be carving pumpkins. 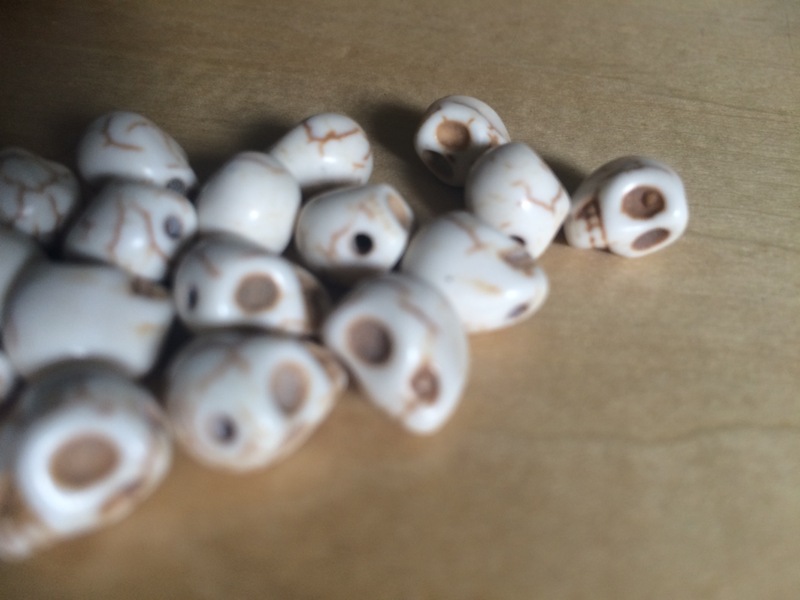 Anyway, to get into the spirit without getting too Autumnal I thought I’d make some boho style beaded bracelets with some cute skull beads I picked up on eBay! 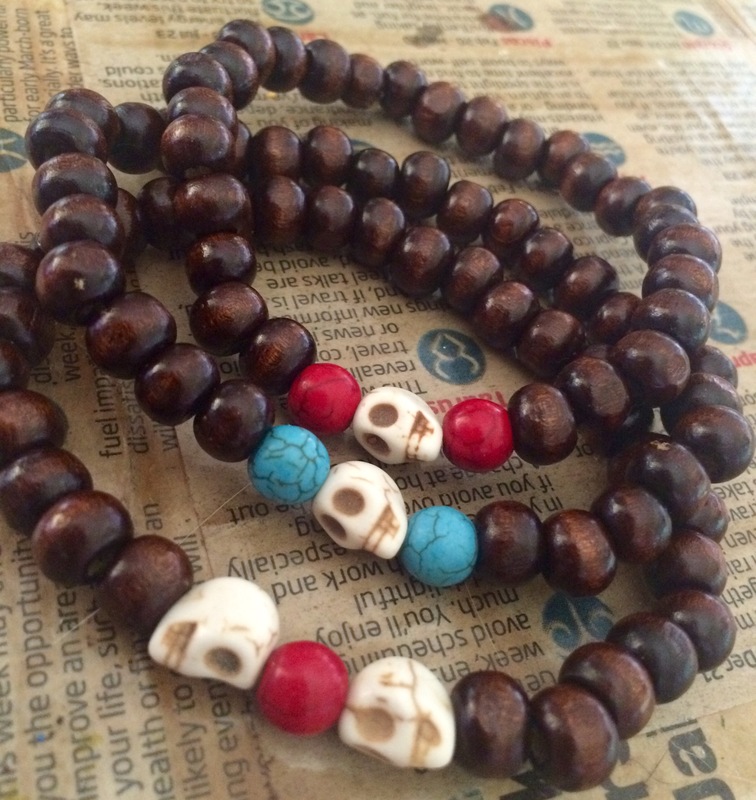 These are very simple, just some wooden beads, the skulls, a couple of stone or turquoise beads and some stretchy elastic! 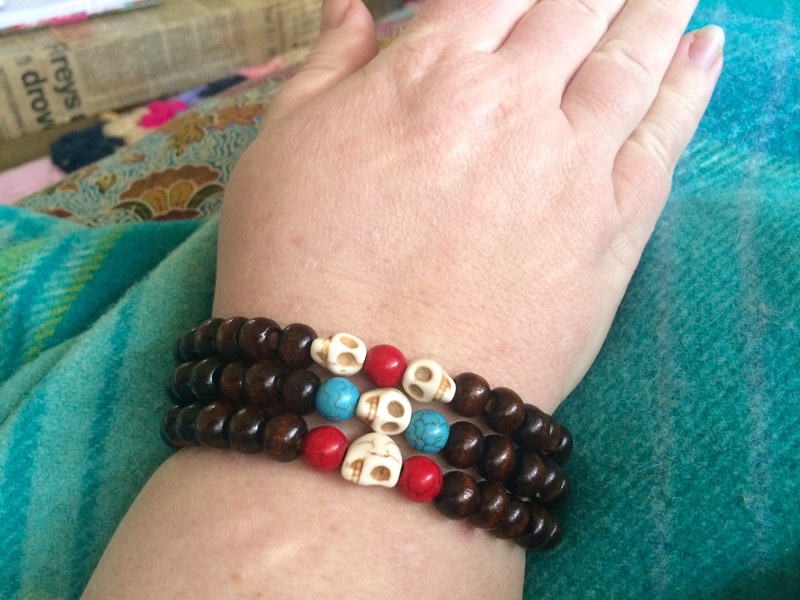 This entry was posted in Craft Projects, Jewellery, Jewellery DIY and tagged beaded, beads, bohemian, boho, bracelet, halloween, jewellery, jewelry, skull, stack, stone, wood. Bookmark the permalink.